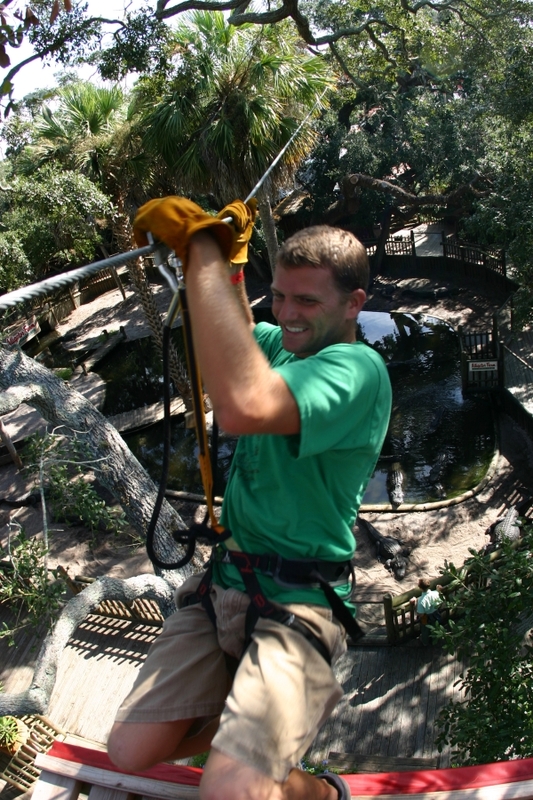 Zip through the treetops and conquer aerial obstacles on The St. Augustine Alligator Farm Zoological Park’s thrilling zip line attraction, Crocodile Crossing. 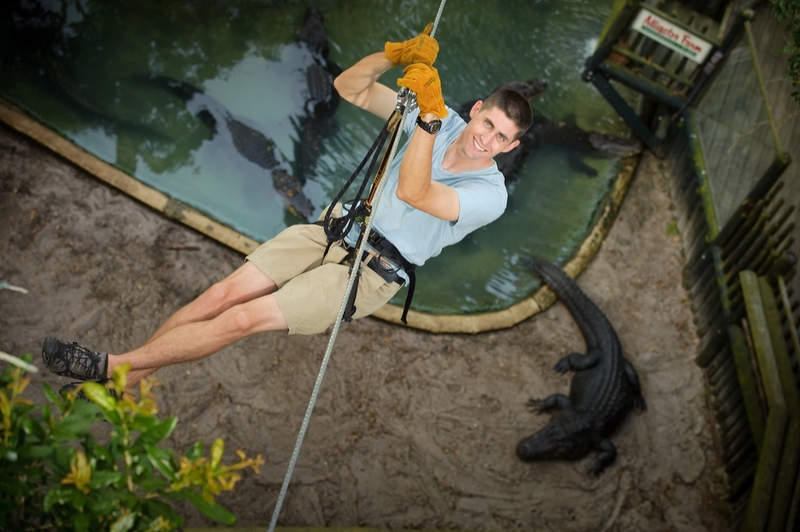 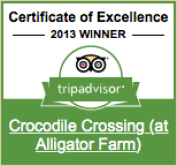 Across seven acres on two challenging courses, you’ll see live alligators and crocodiles right under your toes, tropical birds at eye level, and red-ruffed lemurs nearly at arm’s length. 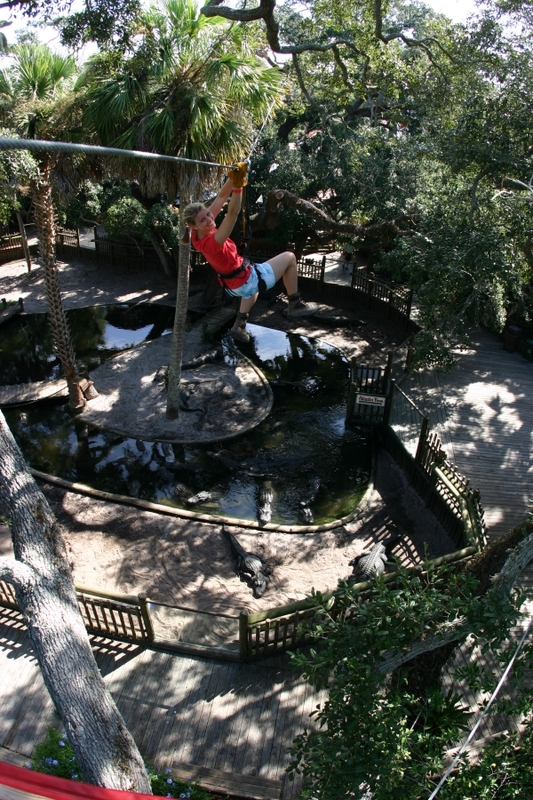 More than 50 different obstacles will have you flying, climbing, and zooming through the zoo! 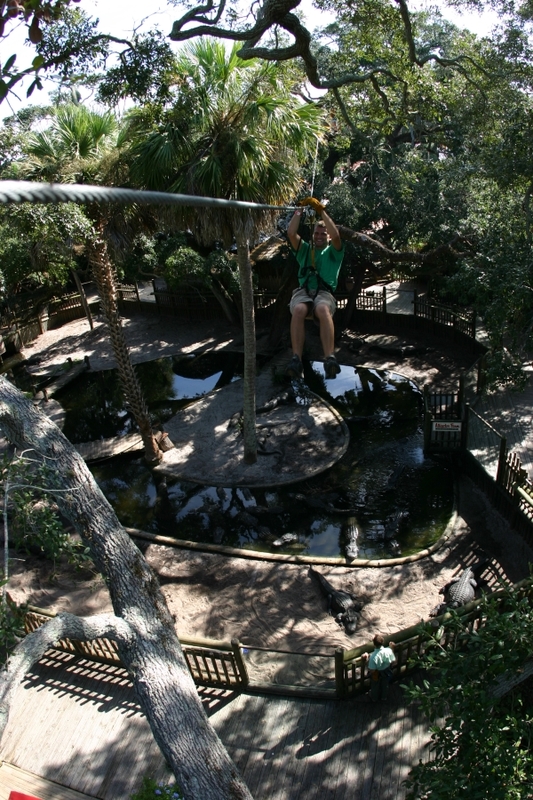 Please call for hours of operation, hours are subject to change. 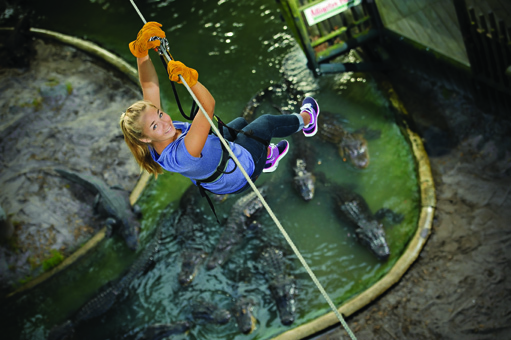 * * Buy online and save! 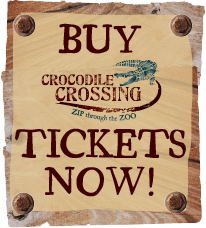 Receive a $2 discount on each Crocodile Crossing ticket (both Sepik River and Nile River courses) when you purchase your tickets online. 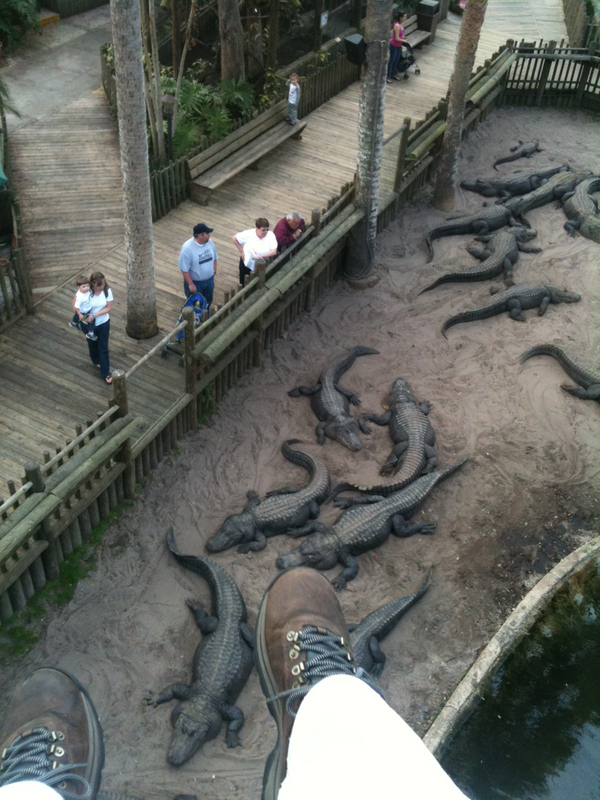 All other eligible discounts will be applied at attraction. 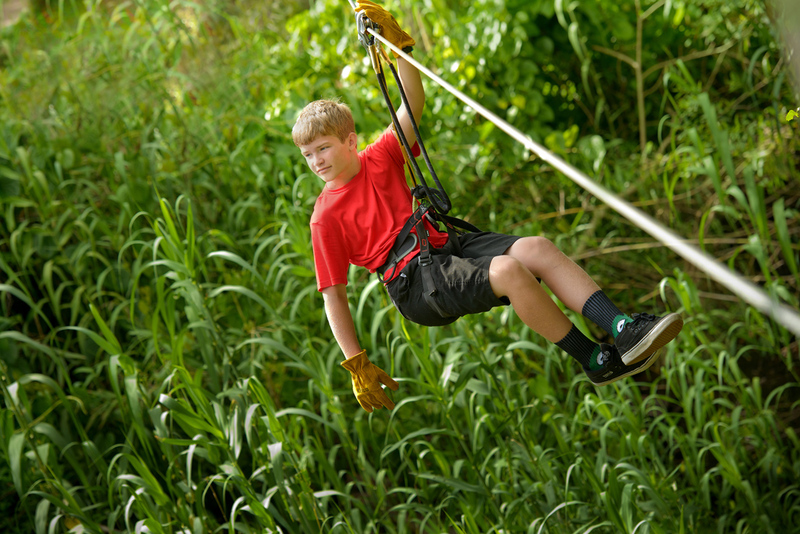 Newcomers can get a feel for this exciting experience on the lower, shorter Sepik River Course. 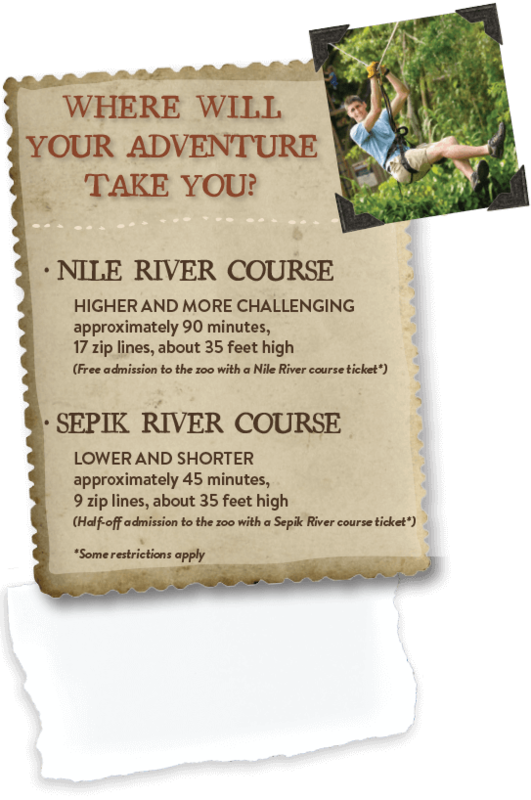 The truly adventurous can take on the higher, more challenging Nile River Course. 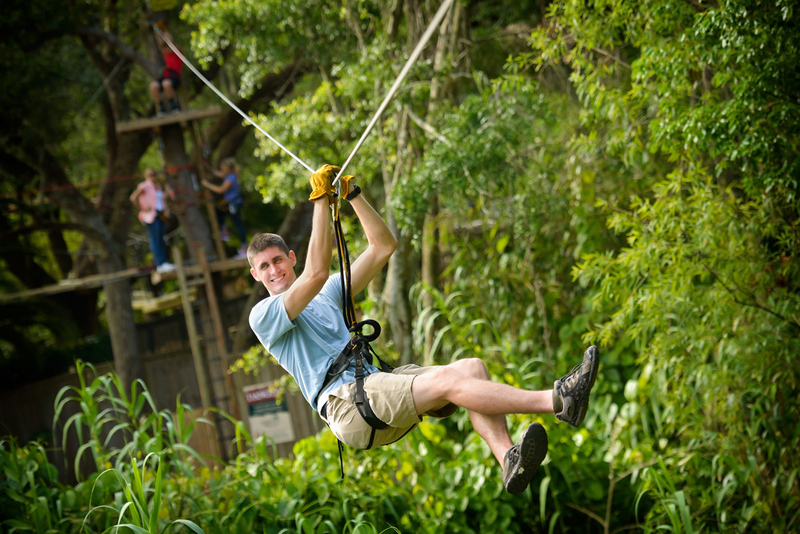 With two courses to choose from, the only question is: where will your adventure take you?